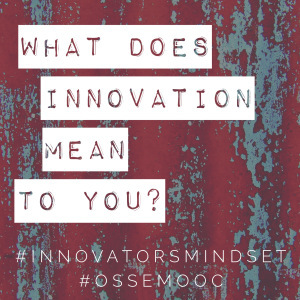 "I've 'decided' to join the #ossemooc Blog Hop around George Couros' book 'The Innovator's Mindset'. To start things off, we've decided to share our ideas around the concept of innovation. Enjoy! Also, be sure to take a look at the blogs posted at the bottom, and hop from one to another to see some other ideas." It might be my affinity for all things marketing - I love looking at new products, ideas, processes, etc. Talking about a topic such as innovation, I am immediately drawn to the stories of how products and services came to be. It's amazing to read about the people behind the YouTube, Spam, and the concept of sharing a car with a complete stranger. It has always struck me that when looking at these innovations now, they seem so simple; however, at the time so revolutionary. The stories however all share one quality that set them apart in my mind - improvement. And I don't mean over the long term; just an improvement from the day before they came into being. I do stumble over this idea at times when I look at products so popular and are considered innovations, and yet am left saying "Whaaaaa? Why?!" I think back to early days of social media tools (Twitter, Snapchat, YouTube, etc.) where many share that same expression. Many ask the simple question - how does this improve my life? It's difficult to see what's innovative at times because we fail to hear the story behind these innovations. The story always starts with a problem, and that is the key. And so even though we find it difficult to see what is innovative at times, it doesn't mean it's not solving a problem. Many don't see the innovation because we don't see how the improvement impacts us - we hold innovations at a personal level and expect them to directly impact us. And if they don't, well they can't be innovative. Can they? Sometimes it takes a new perspective - watching how a technological innovation can change a whole person's life. I think this is what strikes me as innovation - has it changed someone's way of doing something? Is it better than before? Than that to me is innovation. It doesn't have to be complicated. It just has to make a positive impact. 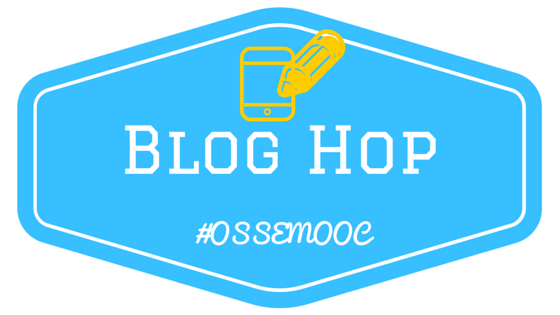 Be sure to check out the other #ossemooc bloggers and their ideas!